Recently, I had the opportunity to travel to Ocho Rios in Jamaica and to participate in IFIP 2013: Into the Future. It was a great event where I presented the paper “Towards Applications of Capability Sensitive Design of Technologies”, which was prepared within the SAP mobility research lab in Pretoria. I am sharing the conference presentation in the hope of more useful comments and suggestions. The presentation reflects the progress we have achieved in merging the Capability Approach (CA) with Design Thinking (DT), since the deadline for conference paper revisions. Some of the important points that came up in the course of the presentation included the usefulness of understandings generated by the CA in defining Point of View (PoV) statements. By bringing a detailed understanding of values and choices, CA allows designers to include as PoV insights, statements related to the choices users are prepared to make. Therefore, combining CA and DT allows designers to incorporate the potential for behavioral change within their artifacts. Another significant point, relates to the knowledge dynamics within the DT process. Mueller and Thoring (2010), develop a typology of knowledge which is developed and transformed during the process. Design thinking can be seen as consisting of a theory generation process where a micro-theory is developed in the form a PoV statement. The micro-theory is subsequently applied and tested, until a final rational design emerges and it can be articulated. CA can bring considerable value to the early stages and the theory generation process. Are Mid-Range Phones the “Smartphones 4D”? I have finally come around to revisiting some of the topics that came up during the days of the CTA ICT Observatory, held in Wageningen, the Neatherlands from 2nd to 4th of Nobember, 2009. One topic in particular that reared its head during the first day, concerned the potential of mid-range mobile phone devices to deliver the benefits associated with mobile services. Indirect access i.e. information access mediated by another human being. Direct information sharing i.e. CDs, printouts, file sharing. Basic phones: devices with two-tone displays and basic functionality. Almost exclusively the functionality is limited to voice and SMS. Smart phones i.e. phones complete with an operating system and advanced PC-like functionalities such as email and Internet access. 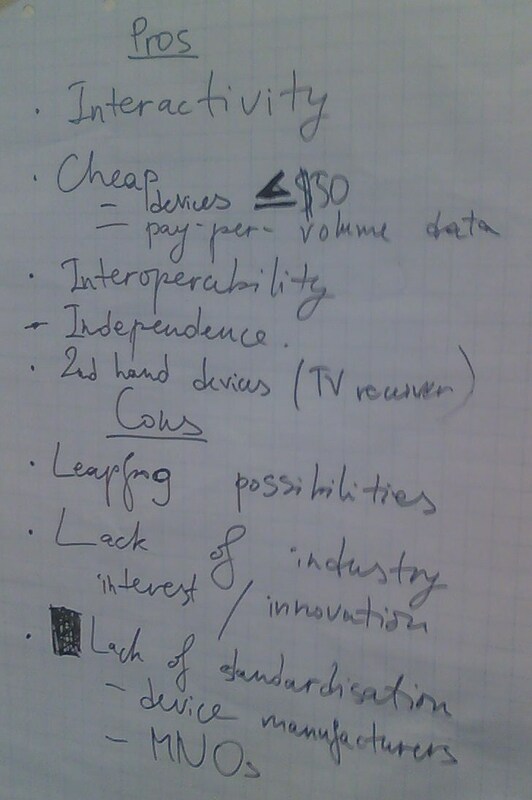 I collected the views of the participants in the workshop on mid-range phones. And after about half an hour we came up with the poster below. The pros of mid-range phones include that they allow for the development of more interactive mobile applications and services. The use of phones and services with basic functionality have proven their worth and usefulness, as in the many deployment examples associated with FrontlineSMS. Still, many of the areas where SMS services are used can benefit from more extensive interactions. That’s why we put interactivity as one of the advantages carried by mid-range phones. The implementations I envisage would fall somewhere on the orange fraction of “social mobile’s long tail”, as explained by Ken Banks in a recent post on his blog. Arguably, mid-range phones are currently the devices of choice for end-users in the implementation of mid-complexity systems and customised solutions. Yet again, arguably, they have the potential of being the devices of choice for the implementation of simple, low cost systems in the future. Another advantage of mid-range phones is that through the data channel they allow information to be exchanged way more cheaply than SMS. Steve Song оf manypossibilities.net has posted much on the lack of fairness in the pricing of mobile communication and recently started the initiative Fair Mobile). Mid-range phones allow a cheaper alternative because in terms of the price of data transfer per character, data services based on GPRS are up to 1000 times cheaper. This argument was put forward as part of the presentation of Stephane Boyera from the W3C at CTA’s ICT Observatory. Moreover, the feasibility of extending the use of devices with mid-range functionality in the provision of mobile services is supported by the increased market availability of such devices at prices near the $50 mark. In a recent analysis of the potential of hybrid devices, Simon Kearney notes that “while smartphones may dominate the mobile growth story in many developed markets, the picture is very different in the much larger developing and emerging world markets.” In these markets products and services such as Nokia’s Life Tools are, in many ways, exploring leapfrogging possibilities by allowing mobile access to the Internet. The Nokia Life Tools services, deployed in India and Indonesia are examples of mobile services which can be deployed through mid-range phones. These services are targeted at very low earners in developing countries. They allow users access to weather and agricultural market information. A series of phones designed as end-user devices for Nokia Life Tools, and retailing at prices between 20 and 54 Euros – before taxes and subsidies – are shortly due to begin shipping. This Monday, 29 June 2009 turned out to be a rather momentous day for anyone interested in ICTs for development in general, and mobile content-driven information services, in particular. The Grameen Foundation announced the launch of its AppLab in Uganda, realised in collaboration with the Internet search and services giant Google and the African mobile operator giant MTN. Google SMS Search, an SMS-based mobile serach engine more consistent with Google’s original role. Google SMS Trader, which matches buyers and sellers of agricultural produce and commodities as well as other products. The services are SMS-based and designed to work with basic mobile phones to reach the broadest possible audience. Beyond the applications themselves, what I find most compelling is how the Grameen Foundation collected such a high-powered group of partners. The list reads like a who’s-who of innovative mobile services and development in Africa with Google, MTN Uganda, Technoserve, Kiwanja.net, and BRODSI to name a few. It’s a mixture of for-profit businesses, local NGOs and non-profit tech organizations. I agree that this is a significant observation. It is well recognised that the implementation of successful mobile services involves the syndication of mobile operators (in this case MTN) and content providers (read Google). But the success of mobile services implemented in Africa, largely depends on their the existence of a support network on the ground. 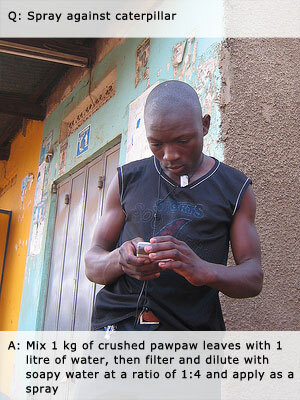 The role the project of the Grameen Foundation, its Technology Centre in Uganda and their network of Village Phone Operators (VPOs) increase the potential for adoption of the new services. Ken Banks explains how the Google SMS Tips service was tried through an AppLab/MTN “call centre” where quieries from the users were received and short answers of maximum 160 characters were formulated. He brings up issues related to the process of development of IT services such as information behaviour* in developing countries, proximal literacy, HCI and prototyping. With regards to Google SMS Trader, which as a mobile commerce platform is of my primary interest to me, Ken Banks that a “whole suite of technologies on which to base solutions, including J2ME, WAP, high-end smart phones, 3G and MMS” were considered during the development process and SMS was eventually chosen. Still, I think that the involvement of Google in services such as Farmer’s Friend and Trader opens up another frontline in the rivalry between Android and Symbian. The services provided by Google SMS Tips in Uganda are consistent with those introduced by Nokia Tools in India. The respective uptake and popularity of these services might hold the key to the eventual spit of the premium mobile contant market in the developing world between Android and Symbian. * Information behaviour meaning, “the totality of human behaviour in relation to sources and channels of information, including both active and passive information seeking and information use”, definition by Wilson 2000. On Friday, 23 May Mr. Guy Collender published through the Guardian, Society an opinion piece considering how mobile technology is benefiting some of the world’s poorest. Left at that, this is not a rare piece of writing to come by these days. But what made the story “Talking about a revolution” conspicuous for me was the fact that it featured Movirtu‘s MXShare — a fascinating technology I came across recently at the Africa Gathering in London. Katine farmer Dan Ekongu with his mobile phone, which he uses to communicate about agriculture via Talking about a revolution. Photograph: Dan Chung. I completely agree with Mr. Collender that, “At first glance it is a peculiar and nonsensical idea: owning a mobile phone number, but not a mobile phone.” And even though the immediate benefits of the idea are that it could enable the bottom billion (i.e. the 1 billion people living on less than $2 a day) “to enjoy the benefits associated with a mobile phone number, such as receiving messages and remittances,” I think it could have much wider and far-reaching consequences. The MXShare concept, installed in the core of a mobile network, enables individuals to share a mobile phone while maintaining separate identities, including a phone number, list of contacts, etc. MXShare makes this possible by creating a virtual mobile system, embedded within an operator’s switching centre. MXShare’s obvious caveat is that it is not operator agnostic. Many people working in development would consider this an insurmountable drawback, particularly because mobile phone information systems tend to be implemented on a fairly small scale, by NGOs and development organisation, who find it a challenge to get the interest and collaboration of large (read popular) GSM operators. Although I can see MXShare’s operator dependance as a hindrance to its adoption, I personally am much more intrigued by the possibilities and challenges which the technology concept opens up. The possibilities stem from the prospect of attaching a fixed identity to mobile phone users. Identifying people is still a challenge in the online world of the Internet but increasingly users of various online services are identified only by their email address and a password. Movitu’s MXShare opens the door to similar solutions to the identification problem in the world of mobiles, a world which is currently hyping about mobile-Web integrated services. Besides allowing people who live on less than $2 a day to receive remittances, the technology can be used as a gateway for the introduction of mobile-Web enabled devices in the developing world. And needless to say, alongside the better devices will come the better services — better m-health, better m-learning, and last but not least, better m-commerce. For mobile market information services, particularly ones relying on user-generated content, the possibilities offered by identification are considerable. The ability to trace back to its author content of the “classified ad” style, submitted to user-generated content services will increase their appeal. Moreover, it could lead to improvements in the legal framework which would give legitimacy to agreements reached via mobile phone. Kenya’s Safaricom takes a pasting. Has economic contagion finally reached the booming markets of Africa? Below I am reprinting a news report by Martyn Warwick , published at TelecomTV | News on 22 May 2009. The report covers thereduction of profits by 23%, announced by Kenya’s and Africa’s biggest mobile operator Safaricom. Alongside with the reduction in profits, the story mentions the significant annual growth in the number of registered users for Safaricom’s M-Pesa mobile money transfer service. 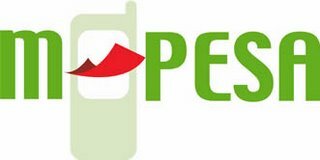 The number of registered users for M-Pesa increased from 2.1 million to 6.1 million. Both of these news from Safaricom in Kenya indicate the relevance and timeliness of the revenue opportunities offered to African mobile operators by mobile market services. More evidence today that the recession is a truly global phenomenon. While in the developed economies of North America, Europe, Japan and Australasia ARPU has been falling and sales of handsets are in decline, over in the burgeoning markets of Africa, (Egypt, Nigeria, South Africa and Kenya, for example) the mobile industry has continued to roar ahead -until today. Martyn Warwick reports. But today comes news that, for one carrier at least, the economic downturn has now hit home and profitability is on the wane at Safaricom of Kenya, Africa’s biggest mobile carrier. Mobile penetration in Africa has roared ahead in recent ayears and some industry observers had opined that companies like Safaricom might continue to grow despite the recession. It seems now that this has more to do with wishful thinking than dispassionate analysis. Figures released this morning show that Safaricom’s full-year profits slid by 23 per cent – mainly because of the prevailing economic conditions but increased competition and increased costs of servicing debt have also played their part. For the financial year ended 31 March Safaricom made a profit of 15.3 billion Kenyan Shillings – that’s about £126 million Sterling. For the previous year ended march 31, 2008, the company made 19.9 billion Shillings in profit. Perhaps more worrying is that although the operator’s total revenues were up 15 per cent year on year, ARPU (globally accepted as being a major indicator of performance) is in serious decline have fallen by a massive 23 per cent to 475 Shillings a month. Over the past 12 months Kenya has suffered remarkably high inflation as the national currency has weakened and the costs of basic foodstuffs, fuel and transport have rocketed. Kenyan consumers, the vast majority of whom are far from wealthy, have less disposable discretionary income than they did 12 months ago and they are using their phones less. Confidence was also severely dented by the ethnic violence that followed the results of the disputed 2008 general election and that has had a long-term effect on the economy. Safaricom has been one of Africa’s great success stories. It is the biggest company in East Africa, is valued at in excess of £1 billion, has 2,300 employees and 13 million subscribers. The company is 40 per cent owned by Vodafone, 25 per cent by both private and institutional investors and 35 per cent owned by the Kenyan state. It has a market share of 79 per cent and has increased its customer base by 31 per cent over the course of 18 months. However, the market is changing and Safaricom faces increased competition from a raft of rivals including Essar telecom’s “Yu”, Zain of Kuwait and the Orange network of the incumbent, Telkom Kenya. As a result of this intense competition mobile tariffs have fallen by 40 per cent in just a year. Meanwhile, Richard Hurst, a senior telecoms analyst at research house IDC commented, “In the past, Safaricom has been quite a solid operator, usually coming up with some decent numbers, so it is a bit of a surprise,” and added that Safaricom will have to spend big money on enhancing and expanding its infrastructure if it is to fend off competition and maintain its Number One position. Let’s hope so. New figures from Nigeria expected to be published in the coming weeks may show whether this is indeed a “blip” confined to one company in one country or if the malaise is spreading across Africa. News regarding current work on the implementation of a market information systems in Ethiopia, released by Wageningen University and Research Centre (Wagenigen UR – LEI) on 24 Feb 2009. From 24 to 31 January, Olga van der Valk and Monika Sopov (Wageningen International) visited Ziway and Meki, two villages in the Rift Valley south of Addis Ababa, Ethiopia. Their goal was to develop a Market Information System (MIS) for small-scale outgrowers of green beans, whose production is contracted by an exporter to Europe. The design of an MIS was requested by a project with CFC funding aiming at promoting small-scale growers’ participation in exports. In a workshop with local stakeholders, the findings of an earlier assessment on market information sources and communication lines were discussed. An MIS is an instrument to reduce market insecurity by providing more transparency in the market. Other instruments are the implementation of (innovative) technology and horizontal and vertical market coordination to strengthen market position and to combat seasonality. To further define the MIS, stakeholders were asked to prioritise their demand for information: whether related to export or domestic markets; whether on daily-changing information such as prices and supply or on market-technical data for the development of marketing strategies. Neither stakeholders nor farmers currently work with or have a view on long-term marketing strategies to develop the small-scale horticulture sector. This makes it difficult to prioritise the marketing information needed to design and operate an MIS. The proposal by the workshop stakeholders was to enter into dialogue with the Ethiopian government to improve its centralised MIS used for statistical purposes, and to make it more accessible to farmers. The recommendation by the Dutch experts was to set up a business service centre to collect available historical data, including surveys and statistical information, and use this information in the development of marketing planning skills among small-scale farmers and governmental officers. This will enable farmers to efficiently use and sustain the technology currently in development.